Kimchi is hot, salty and pungent. A staple in Korea, it is eaten at nearly every meal. 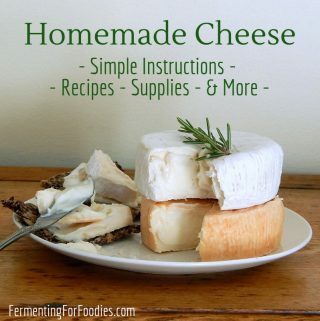 Like all traditional foods, the exact recipe differs from region to region and from house to house. 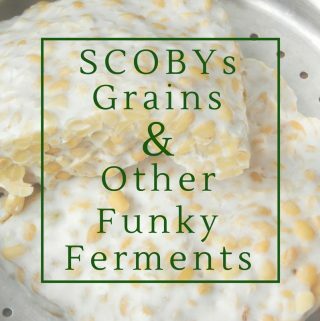 It also varies based on the availability of ingredients and personal taste. This is a recipe for vegetarian kimchi that suits my North American tastebuds. Traditional kimchi is made with raw squid, oysters or fish sauce. However, I make a vegetarian kimchi because we have a shellfish allergy in my house. 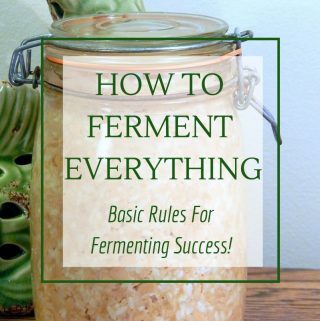 If you’re looking to make a more traditional kimchi, then I recommend exploring Maanchi.com. And watch the video: How to Make Kimchi: according to my Kun Umma for an entertaining look at kimchi and the Korean-Canadian immigrant life. Kimchi is a tasty all-purpose topping. You can eat it on hotdogs, hamburgers or sandwiches. I love it fresh, when the cabbage and radish are still sweet. As it ages, kimchi becomes sour, like sauerkraut. 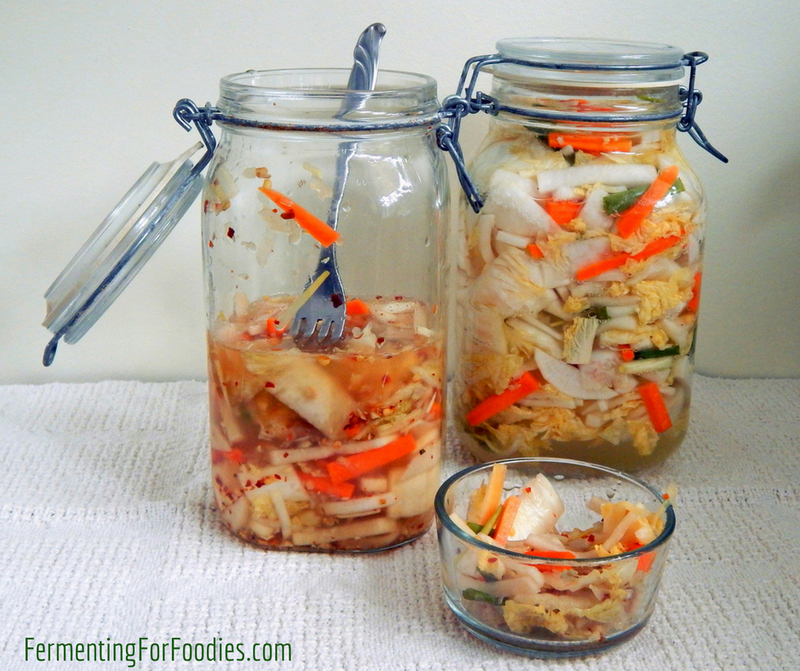 Sour kimchi is still tasty and probiotic! Add it to Asian-inspired dishes like fried rice, noodle bowls or soup. After soaking, drain the cabbage reserving some of the brine. Dice the radish, carrots and green onions into sticks. Place yellow onion, garlic, ginger and chili pepper flakes into a food processor and chop until it becomes a paste. Mix the all the vegetables and the paste together. Pack into 2 mason jars. 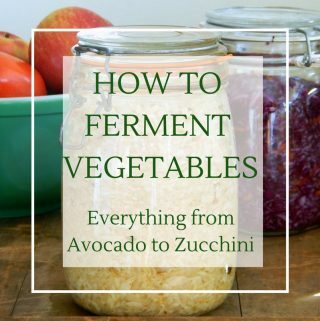 Add leftover brine to cover the vegetables as needed. 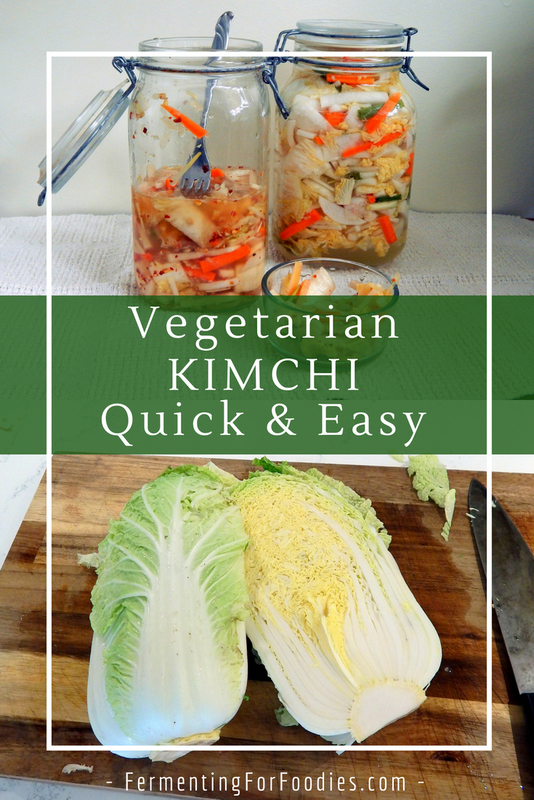 -Here’s my recipe for a kid-friendly kimchi that avoids all the stronger flavours, while keeping the delicious kimchi-ness. -If you can’t find napa cabbage then use savoy. 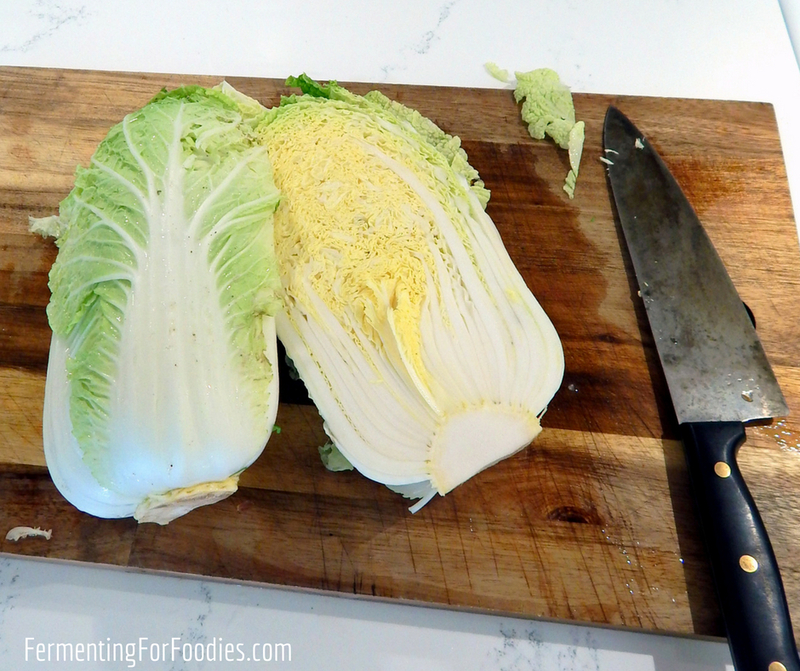 You can also use a regular cannonball cabbage, but it won’t have the same texture or flavour.